Second DNF of 2019 demotes factory Yamaha rider to seventh in the points. 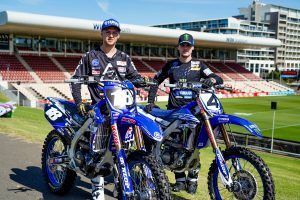 Monster Energy Yamaha Factory Racing’s Justin Barcia was forced to prematurely exit Saturday night’s main event in San Diego, as extremely treacherous conditions caused a technical malfunction with his YZ450F. The DNF marks the second non-finish for Barcia in the first five rounds – the round one victor suffering a nasty fall at Anaheim 2’s third stop of the 17-round tour. Admittedly frustrated with his recent turn of misfortune, the number 51 is targeting a podium return when the series heads to the first east coast stop of 2019 at Minneapolis in Minnesota. “It was a crazy day, lots of rain so the track was super wet,” Barcia explained. “I got a bad start in the heat race and got some water under my goggles, so I had to ditch them in the first turn and ended up stalling as well. I came from about last to fourth, so, ultimately, I was super happy with that ride. “In the main event, I had a much better start than I’ve had lately. I felt like I was riding well enough to contend for a podium, or battle for the win, but I had a technical issue, and it took us out of the race. 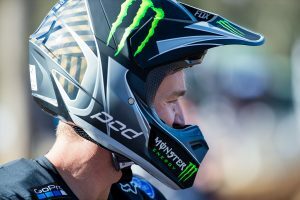 Monster Energy Kawasaki’s Eli Tomac won the enduring encounter, granting him the championship lead over Marvin Musquin (Red Bull KTM Factory Racing) and Ken Roczen (Team Honda HRC), which also represented the top three in San Diego.